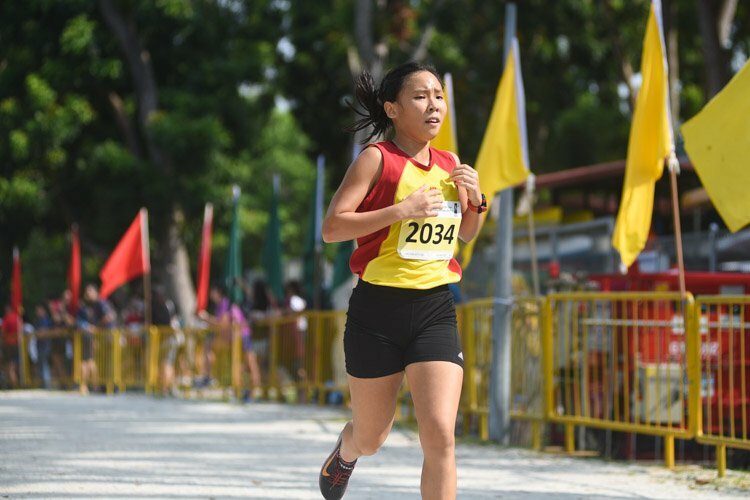 Story by Clement Tan/Red Sports and Shenn Tan/Red Sports Guest Correspondent. 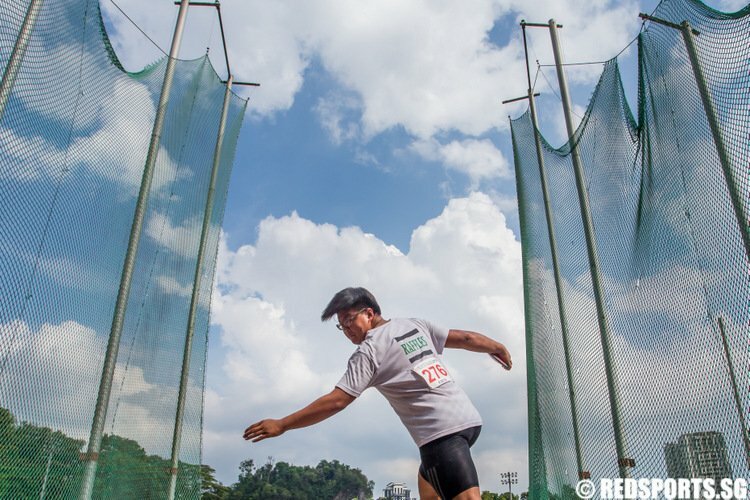 Pictures by Jared Khoo/Red Sports and reader. 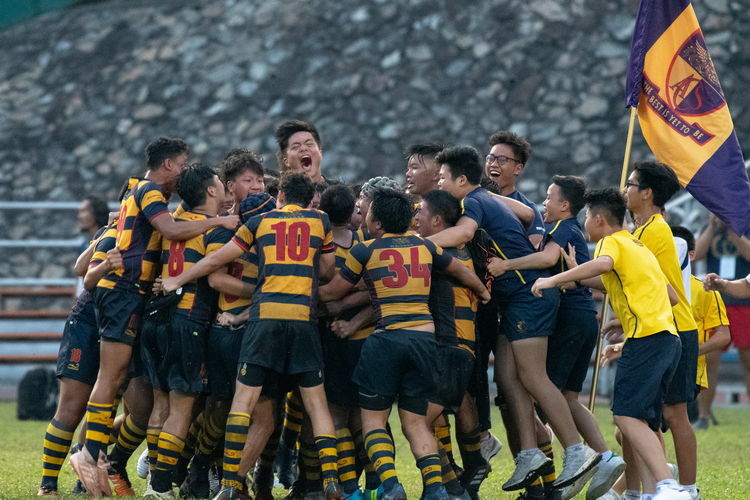 Queenstown Stadium, Thursday, April 4, 2019 — Sixteen-year-old Kaylen Chin (ACS #14) couldn’t quite fathom another defeat to arch-rival St Andrew’s Secondary School in the National Schools B Division Rugby Championship final. No thunder, lighting, or the rain that delayed this year’s final could dim the memory of last year’s agonising 10-13 reverse. And so it told. 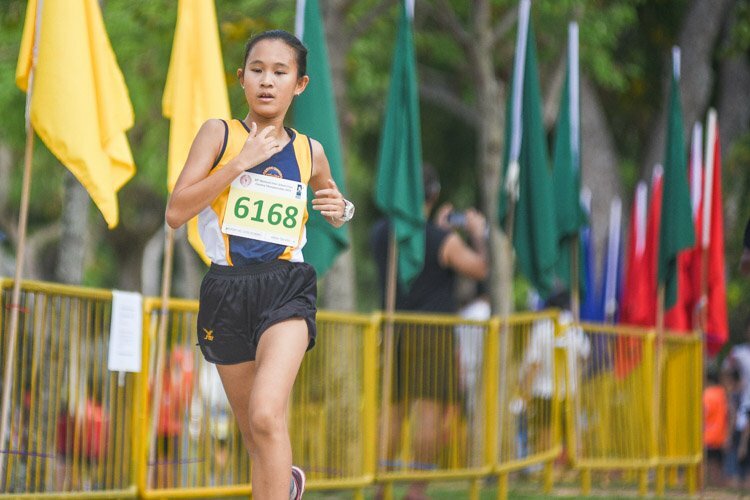 Kaylen played a big part in helping Anglo-Chinese School (Independent) claw back an eight-point deficit with just over 10 minutes remaining on the clock. 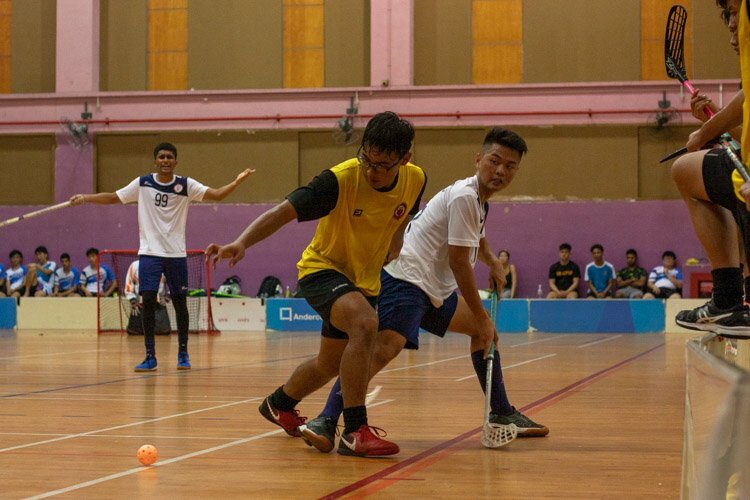 The ACSians turned the tables on the defending champions, scoring a third try with the last play of the match via winger Kenji Chng (#13) to secure a 15-13 victory. 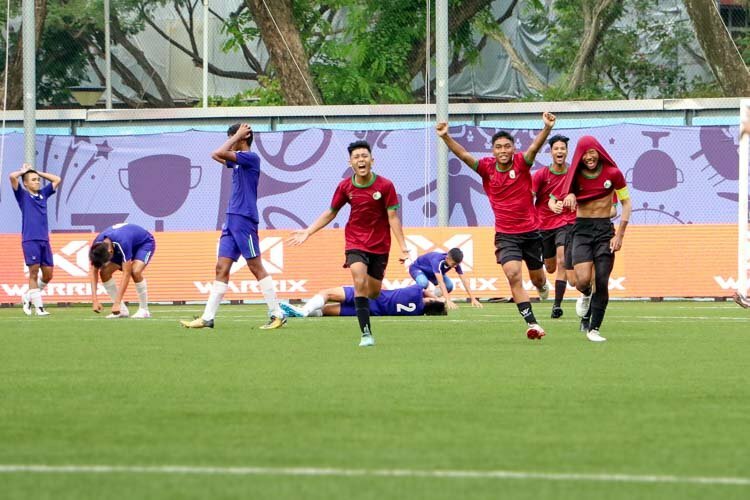 The outsized role that wingers Kaylen and Kenji played in helping ACS(I) wrestle the Police Cup back from the Saints belied the switch to more expansive tactics in the second half after a tentative first 30 minutes. Both teams had gotten off to a cagey start, as nerves and the slippery conditions had led to several unforced errors. After exchanging forays into opposing 22-metre lines, it was the Saints who made the first breakthrough, with Anthony Lucky (#10) scoring from a scrum penalty within ACS(I)’s 22 to take a slender 3-0 lead. 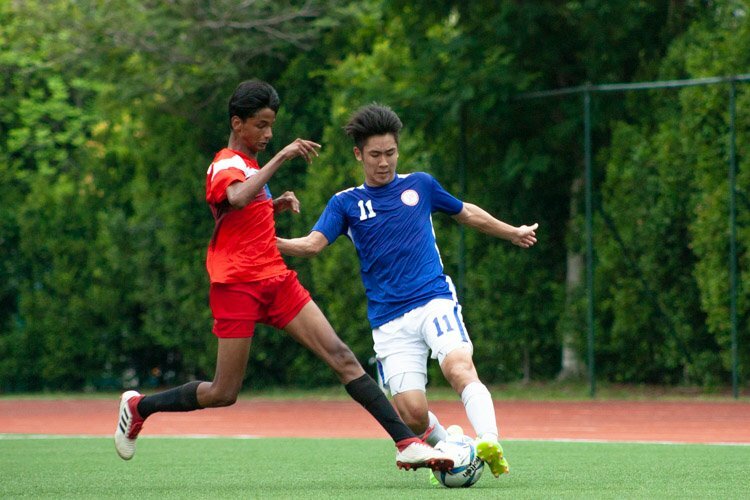 However, Kaylen’s first try helped ACS(I) take a 5-3 lead into half time. A break down the blindside and a smart offload by standoff Alex Hunter (#10) put Ernesto Huang (#8) through, who handed it off to Kaylen to score in the left corner. 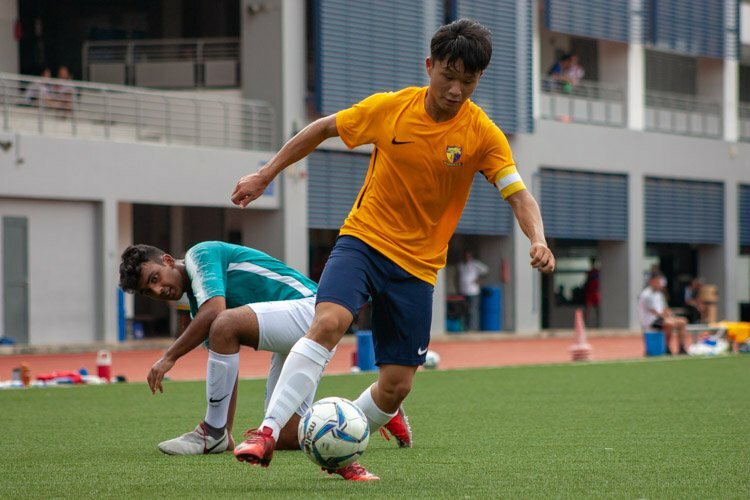 As play opened up in the second half, the match referee dished out a total of five yellow cards, each of which meant the affected player had to sit out 10 minutes of match play. Saints’ Anthony was first to sit out after he was adjudged for a high tackle on ACS(I)’s Gavin Ong (#7), who was himself carded shortly after for a dangerous clear out. 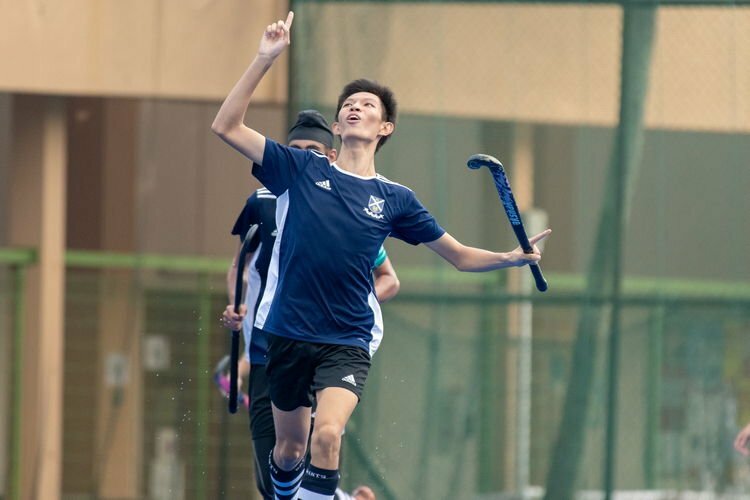 Gavin’s teammate Ethan Liew (#2) joined him in the sin bin for a high tackle and it was during this period that Saints built on a 6-5 lead from an Asher Teow (#14) penalty, with a two-man advantage. Elijah Jap (#25) crossed the whitewash from five metres out after a relentless attack from the Saints forwards that followed a pick and go from the AC 5-metre line after a line out. A lucky conversion that bounced off the crossbar put Saints up 13-5. 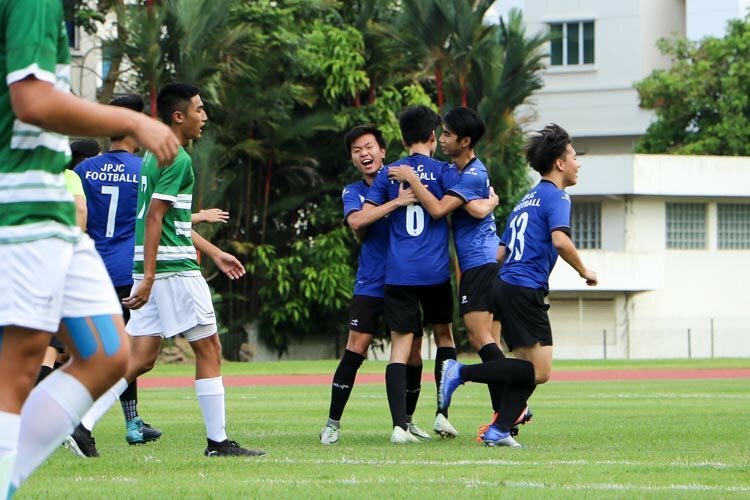 The scoreline seemed to energise the Saints, but as ACS(I) returned to full strength, the tide began to turn against the defending champion. 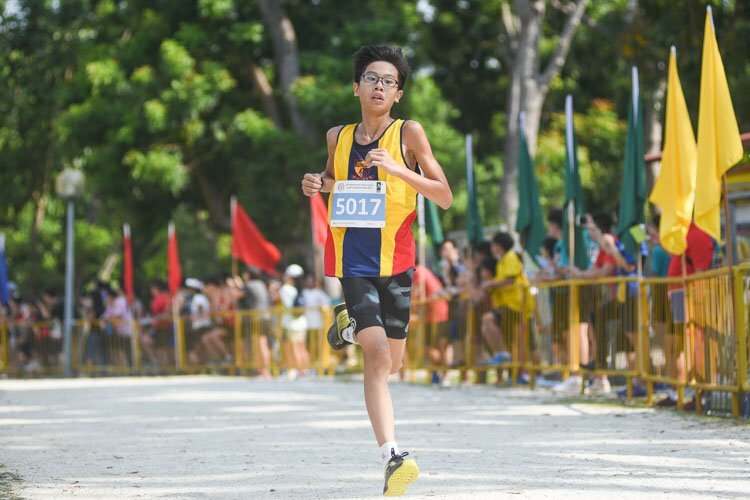 The Saints were not helped by the dismissals of forwards Matthew Low (#18) and Tan Yu Jie (#6) for repeated offsides and a high tackle. The AC boys stuck to their script of spreading the rug wide and fast, stretching the Saints defence. Kaylen scored a second try to give the ACSians some hope. 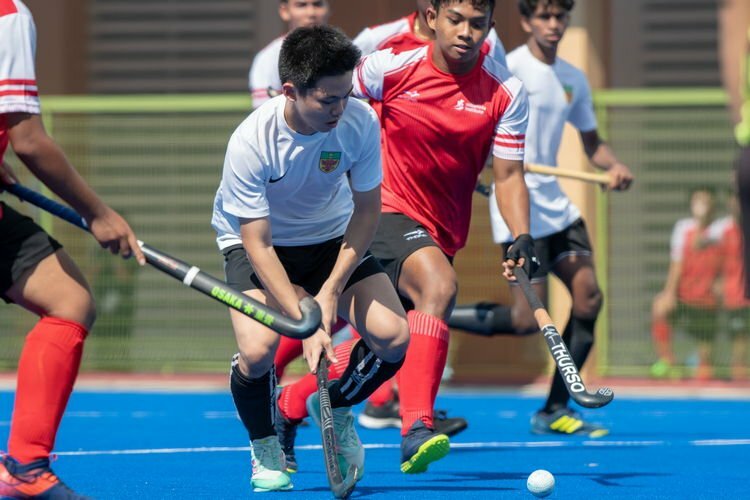 Straight from the restart, ACS(I) strung together some solid carries and brave passes to make several breaks, before eventually finding themselves on the Saints 5-metre line. The AC forwards grounded out with picks and drives, sucking in the Saints defenders, before the backs spread it wide for Kenji to dive through a tackle from the Saints right wing and score the winner in the corner. The contrasting explosive emotions at the final whistle probably only told half the story. While the ACS(I) boys roared in joy and palpable relief, the Saints were left distraught, wondering what could have been, amid indignant tears of disappointment.